Riley was professional and everyone loved him. He made our party! I would hire him again. He has a wide variety of music and genres to choose from. He played a mixture for us. Crowd Pleaser for all ages. Riley did an absolutely outstanding job during his gig. Not only did he accolade the guest of honor, and played songs she wanted and knew, he interacted with the rest of the guests to make everyone’s experience very enjoyable! Riley has amazing talent and I would recommend for so many different occasions. 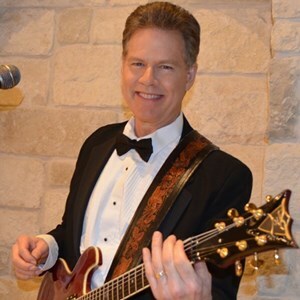 Riley Wilson is a CONSUMMATE PROFESSIONAL Guitarist, Musician, Artist, and Performer/Entertainer. Riley played his heart out for our Christmas Party and stayed until the end entertaining everyone with a variety of music second to none. Many, Many Thanks go out to Riley and his lovely wife for making our Christmas party P for PERFECT! riley was awesome! we can't wait to have him back for our spring party . I highly recommend riley for your events and parties! Riley Wilson was awesome!!! Anyone would be happy to have him do their event!! I would 100% recommend Riley and if we are ever in need of his help again, would 100% call him!!! Very nice, talented, professional, accommodating and worked with the bride and groom to do exactly what they asked. Riley is a very talented musician and entertainer. He arrived on time, communicated well, gave us a choice to provide his own sound system and even generously allowed us to use it for our public remarks. Overall, people enjoyed him, he only took one short break during his two hour performance and worked well with all of the event staff. I would definitely use his services again for any of my other events. Riley Wilson really put on a great show for my event. Riley's professionalism was everything I expected. His performance really helped to bring more people out to my event. I would recommend Riley to anyone who is looking for an amazing One Man Band. I could not be more satisfied. Riley is a true professional. He arrived early, sat up and started right on time. He is a marvelous guitar player and has a great voice. He sang so many wonderful songs. He blended with our "framily" gathering perfectly. We will certainly hire him again. Thanks Riley! Thank you, Olivia! It was a pleasure to meet and perform for you and your guests. Please do keep me in mind for future events and thanks for booking me on Gigmasters. Riley, Is a great performer and would highly recommend for any occasion. His performance was top of the line and has a great playlist. We will hire him again for other occasions. Riley did a wonderful job from beginning to end. I very much appreciated his quick responses and professionalism. He showed early to ensure everything would go off without a hitch and did a great job playing at our Corporate Holiday Party. I wouldn't hesitate one bit in booking him again. Riley Wilson was wonderful. Our residents at The Mansions of Wylie loved him. Riley was perfect for our wedding celebration! He was so easy to work with and super responsive. His music selection was spectacular and our guests thoroughly enjoyed his talent...we highly recommend Riley and will definitely hire him for future events! What a gem. Riley Wilson did a phenomenal job for our corporate event. Not only is he exceptionally talented, he has great rapport with the audience. He was extremely easy to work with – very professional. We will definitely schedule future events with Riley.